Applies plastic solvent cements (Tenax-7R or Ambroid Pro-Weld are recommended) or CA activators with pinpoint accuracy. 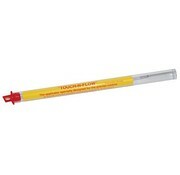 The Touch-N-Flow Applicator is a light-weight, easy-to-handle tool for applying liquid solvent cements. This product is gravity fed allowing an exact application of solvent cement according to the angle it’s held at. The Touch-N-Flow has the ability to join seams with a single continuous application, apply micro-droplets with pin-point accuracy, and can reach into tight corners without runs or smears. 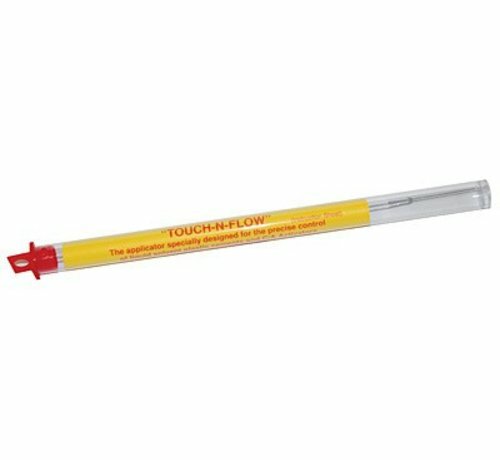 Reduce solvent cement evaporation and accidental spillage by containing a useable amount of solvent cement in the Touch-N-Flow. Join seams with a continuous application - no stops to refill a brush. Apply a micro-droplet with pin-point accuracy. Reach into tight corners without runs or smears.